Whitby, famed for its ruined Abbey and tales of Dracula, is an old fishing port on the east coast of Yorkshire. 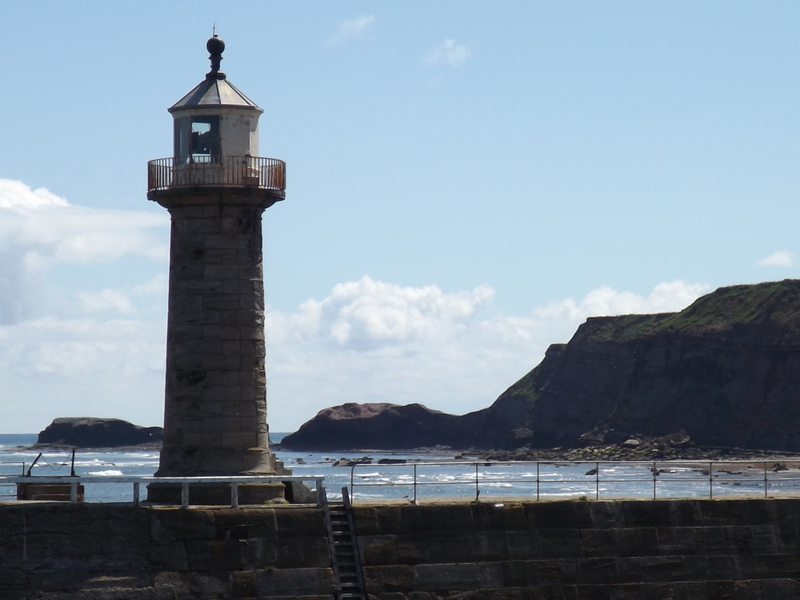 This photo shows the east pier at the harbour entrance along with the eastern lighthouse which was built in 1855 and stands 16.5 m high. The lighthouse shows a red fixed light whereas its taller counterpart on the western pier displays a green light.